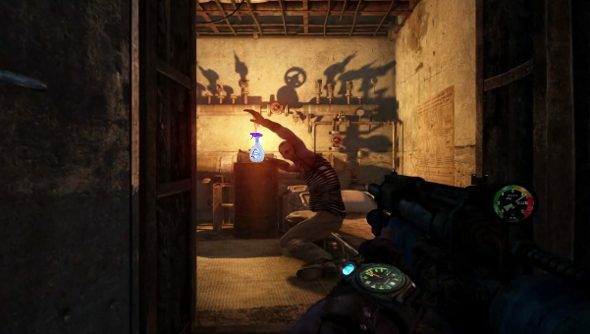 Deep Silver has broken its silence on Metro Redux, the existence of which it confirmed a couple of months ago. But now it’s all official-like. As the title already suggested, this isn’t anything close to a new Metro game. Rather, it’s a next-gen facelift for Metro 2033 and Metro: Last Light for the shiny new consoles and us PC folk. It’s not all makeup and graphics, though, as 4A has made some gameplay improvements as well as updating 2033 so that it shares more of the features that arrived with Last Light. If you’ve never touched the series before, it sounds like a good place to start. It’s Metro 2033, which is now over four years old, that’s seen the most work done on it. It’s been rebuilt using the latest iteration of the 4A engine, making it look and play more like it’s successor. This means improved lighting, particle effects, more detailed character models and animations and dynamic destruction and weather. On the gameplay front, it sees the AI improved, tweaked combat and stealth mechanics and more responsive weapon handling. And while it doesn’t really have an impact on the shooting and exploring, the mask wipe feature from Last Light has also been added. It’s a simple thing that added a surprising amount of tension to Last Light, so it’s a welcome addition to the original. As Last Light only released last year, it’s not undergone quite the same level of transformation, but there’s been a graphical facelift and a handful of new features and improvement animations. All the season pass content’s been chucked in as well, which apparently amounts to 10 hours of extra post-apocalyptic shenanigans. Two new play style modes have been thrown in, to boot. Across both games. Survival is more in line with the original feel of 2033, a slow, tense horror game with limited resources and deadlier AI. Spartan, on the other hand, is focused on the action side of things, making Artyom more powerful and resources plentiful. The SRP is $24.99 / €19.99 / £15.99 for the seperate, digital versions. A boxed version will also be available containing both 2033 and Last Light, but it’s a bit pricier at $49.99 / €39.99 / £34.99. It’s due out at some point this summer on PC, with a Linux and SteamOS version to follow.